1975 Formed Resource Inventory Council, which mapped Wayne County’s natural resources and led to the Wayne County Geographic Information System (GIS). 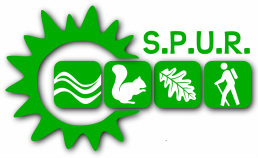 1999 SPUR donated its Gorge Trail (including the Test Road property) to the City of Richmond for permanent public recreational use. 2010 Sponsored the creation of the Fossil Park on the grounds of Richmond’s Bicentennial Park.